Hello! 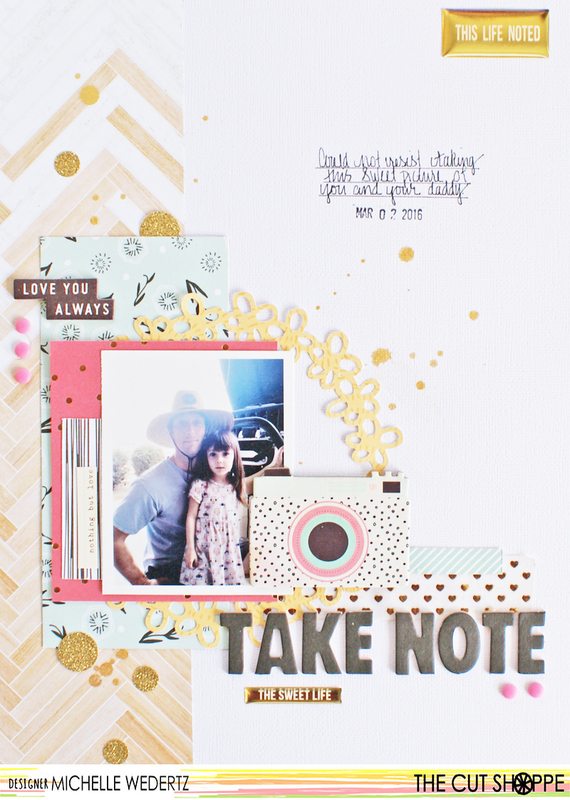 On this last day of April I want to to share a new layout featuring one of the recent releases from The Cut Shoppe! 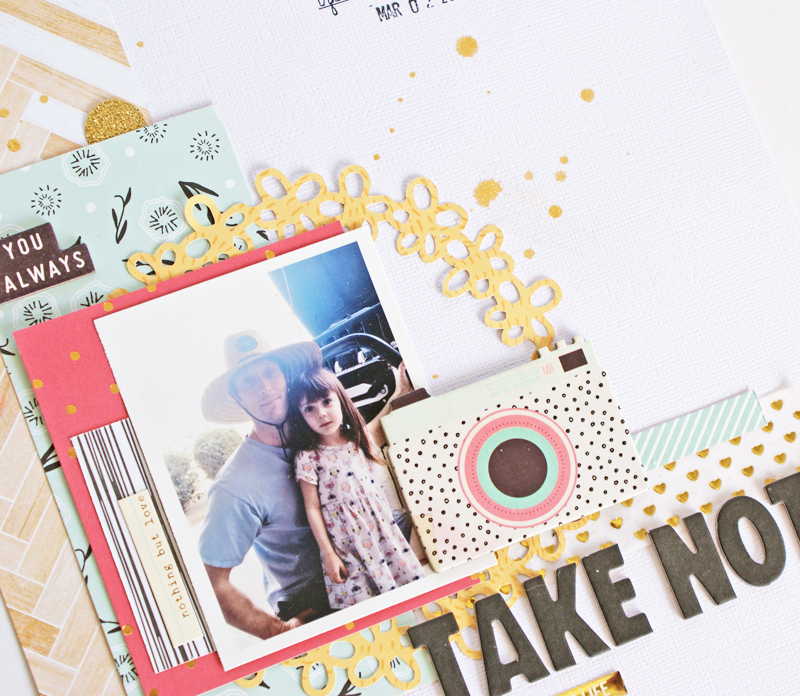 Since its appearance in the store, I have been eyeing the beautiful floral garlands from the Spring Fling cut file and they instantly came to mind when I was considering how to scrap a super sweet picture of my youngest daughter and her daddy. When I see a circular shape, like the garlands, I immediately think of "framing." This could mean framing a title or in my case, framing the picture. By using the garland to frame this sweet picture, I am bringing the attention straight to where I want it. 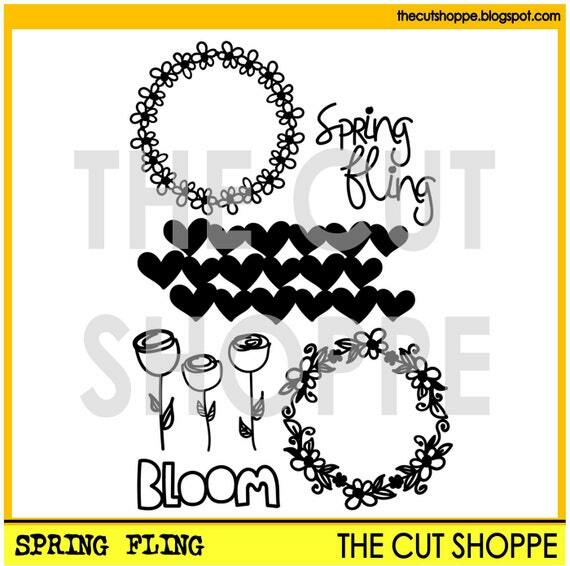 Using a circular shape is also an invitation to layer--pairing together the diecut floral garland with pretty papers is always a favorite technique. To see me more inspiration from The Cut Shoppe, make sure and stop by the blog! When I am not squeezing in scrappy time or reading a book, I am a wife to a handsome outdoorsman, mother of one boy and two girls, and a dog walker extradorinaire.